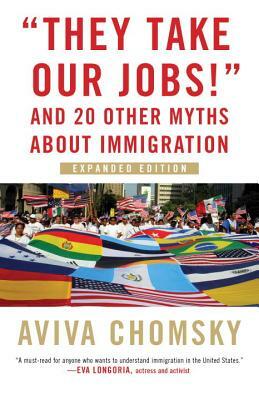 Aviva Chomsky dismantles twenty-one of the most widespread and pernicious myths and beliefs about immigrants and immigration in this incisive book. "They Take Our Jobs!" challenges the underlying assumptions that fuel misinformed claims about immigrants, radically altering our notions of citizenship, discrimination, and US history. With fresh material including a new introduction, revised timeline, and updated terminology section, this expanded edition is essential reading for anyone who wants to understand how these myths are used to promote aggressive anti-immigrant policies. Aviva Chomsky is a professor of history and the coordinator of Latin American Studies at Salem State University. The author of several books, Chomsky has been active in Latin American solidarity and immigrants' rights movements for over thirty years. She lives in Salem, Massachusetts.